OMG what a weird experience haha! Nice game with some neat art style, great job! Nice work! Fun concept and simple/straightforward gameplay. I would have liked to see more possibilities (I saw the same characters when replaying a few times to see if I'd get anything else), but it's a 48-hour game jam and the graphics and sound are pretty strong. This would be an interesting game to play for a longer/more complex storyline as well. (Edit: I see you're already pondering that from the other comments. Cool!) Music and setting is pretty soothing. It's cute, small, good looking, good smelling, and really charming. I was talking about Jim, you know...? Oh the game.. yeah well.. uh.. that was good too I guess..
No, but really: this is everything I look for in a jam game. it's simple, super hilarious, not complex, short but still really interesting. Very good job on making this, you can be proud! Thank you so much, we really appreciate your kind words! I loved the art, especially the fish with eyebrows lol. Fun concept, as well! This was very impressive. I liked the writing, art and music a lot. There isn't much in terms of gameplay though and I'm not sure how it lines up with the theme. I suppose it's a fishing game, without a reel so you have to do reel them in through flirting. That's a good concept, but I don't think it was explored through gameplay as there were only two dialogue options. It definitely seems inspired by Undertale, but every interaction in that had a different set of minigames and a different context surrounding them which kept it fresh. I think that's what it's missing, but what's here has a very strong backbone and I would love to see more stories told through this style. Deeply appreciate the in-depth comment! 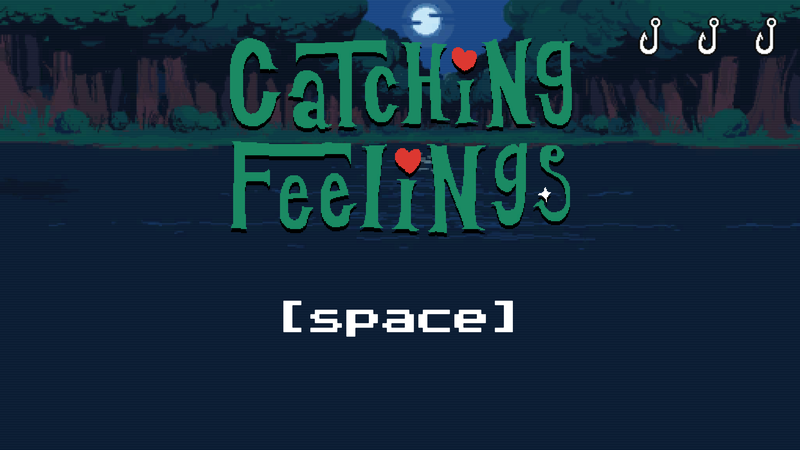 Yeah, as you mentioned, our idea was supposed to be a fishing game with no reeling, but as it turned out, writing visual novel content wasn't actually all that fun especially at 3 in the morning :P So we kept it super simple. 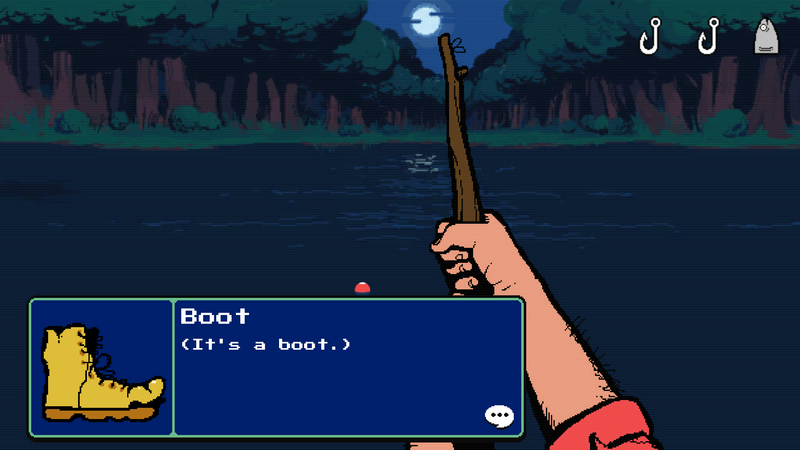 Before turning this into a "real game" we'd definitely prioritize A: different fish/stories depending on where you cast and B: more and better dialog content/branching paths. The game for sure needs more "game" and we're stoked that we learned so much about Unity in this jam that we can move even faster next time! Very amusing game! It would improve dramatically if there were some more things to catch, other than Jim, Kat, and the boot. I love the atmosphere and the art. Well done! Favorite game so far, great sense of humor! that was tones of fun, i love the feel of waiting and casting, the sillyness of the game keeps it light hearted and fun. I just wish I had more interaction with the game. Great presentation but this isn't very interactive and it isn't interesting from a mechanical standpoint. I really liked this. A very cool take on fishing with the right amount of puns for me (actually, there can never be enough). Fantastic work! 11/10. Found the calm serenity I've been looking for my whole life. Made some friends, had some laughs, and found love in the most unlikely of places.